PORTAFERRY Leisure Centre is leading the way to better health with a new scheme that sees patients in Ards getting referrals for exercise rather than medication. The innovative 12-week physical activity programme, ‘Healthwise’, funded by the Public Health Agency, and delivered by Ards Borough Council’s Leisure Centres, aims to help those suffering from a range of conditions. 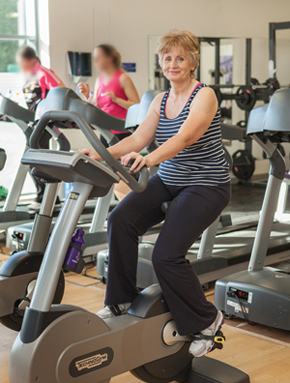 Patients who could benefit from regular exercise can be referred to the local Leisure Centre by their GP, where they are able to avail of the expertise of the Leisure Centre’s qualified fitness instructors who will work alongside them to develop a tailor-made exercise programme to help improve their health. The scheme is targeted at people who have medical conditions such as asthma, diabetes and high blood pressure, or those who have undergone operations such as knee or joint replacement surgery, that can be improved by regular physical exercise. Participant’s progress is monitored by specially trained coaches who they meet with once a week to review their progress. Margaret May from Portaferry was the first customer to complete the GP referral programme at the Leisure Centre, noting vast improvements in the range of motion in her knee following cartilage and ligament replacement surgery. She said: “After my surgery, I was really limited in what I could do. For example, I found it hard to get up and down steps, but the Leisure Centre’s exercise program helped me to get my mobility back again and I can now manage steps and stairs, plus I have even been able to start playing golf again. “I have regained the strength in my knee with assistance from the staff at the Leisure Centre, who were really supportive and made me feel at ease whilst helping me work out an exercise programme to suit my lifestyle and current fitness ability, and as a result of how much exercising regularly has helped to improve both my physical and mental health I have now joined the gym as a Momentum member and fully intend to stay at it as long as I possibly can. 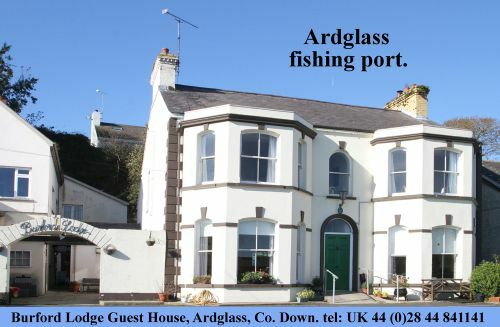 The successful scheme is available at all three Leisure Centres owned by Ards Borough Council (located in Ards, Conber and Portaferry), for people with certain health conditions who have been referred by their GP. Pictured: Margaret May who took part in the GP referral scheme at Ards Borough Council’s Sports Centre in Portaferry.